Most every talent-acquisition leader I talk to wants their team to be more proactive, strategic, more like talent advisors, and less transactional. That’s the crux of this fall’s ERE conference, in New Orleans October 24-26. The agenda’s packed with interesting leaders like Christine Deputy, the CHRO and EVP at Nordstrom. Marie Artim, the VP at Enterprise Rent-a-Car. Dan Black, director of recruiting at EY, in the Americas. Steve Knox, head of global TA, strategy, & operations at GE. Drea Silva, recruiting director at Nestle. Michael Baron, U.S. recruiting channel leader at PwC. Chris Van Bavel, senior director, talent acquisition strategy and solutions at Marriott. Hear a unique list of speakers. Many of our speakers are great speakers but aren’t on the “speaker tour” … so don’t miss your chance to hear them! 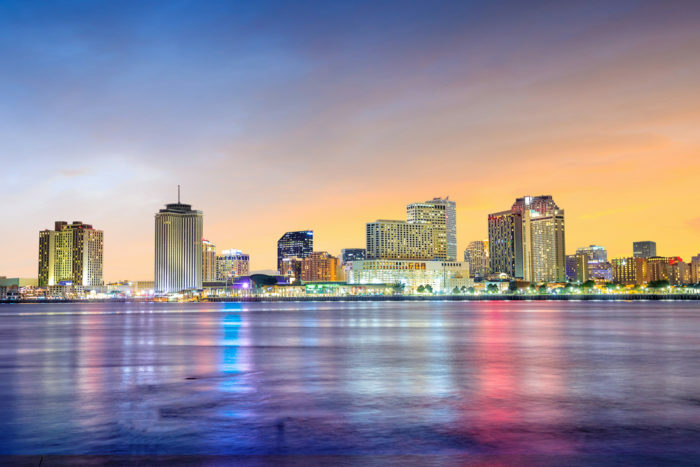 Returning favorites — We’ve picked the best parts of past conferences and are bringing them to New Orleans. Some highlights include roundtable discussions with your peers, lunches with people who have common interests, and more! Small group workshops on two different topics: 1) design thinking, and 2) creating a brand. These require a reservation (open to in-house TA practitioners only) and are part of your regular registration. Sign up today to guarantee a spot (there are a limited number of seats)! New Orleans — Don’t miss your chance to spend a few days in NOLA! More speakers and sessions to come! Topics that you (in-house talent acquisition leaders) have told us in conference surveys and elsewhere that you want. If you go to the current schedule online and click around, especially Tuesday and Wednesday, with those little arrows on the right, you’ll see what I mean. A lot of time for questions and answers, and interactivity, and, well, you won’t leave this event bored out of your gourd listening to three-hour PowerPoints while blood clots form on your calves and you await a turkey sandwich in a box lunch with an apple wrapped in plastic you can’t remove, and so on. This isn’t that. Ready to register? Click here, prices will only go up so lock in your savings today! Email me (todd@ere.net) or call me (212/671-1181 x806) if you have any questions. I can be kinda your personal concierge and help you navigate the event, such as who you might want to meet and which sessions you might want to attend and all that.